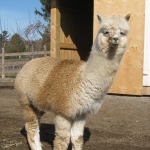 ​Join us on our day trip to visit two unique farms in beautiful Prince Edward & Northumberland counties, about 3 hours east of Toronto. 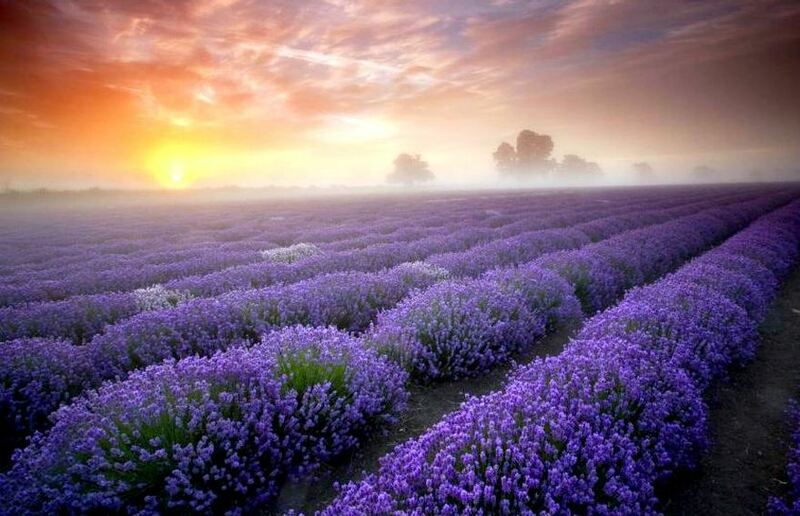 For our visit to the lavender farm, we will be travelling at the peak of lavender season just about one week before the harvest so the flowers should be in full bloom and the smell of lavender will permeate your senses. 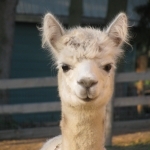 During our visit, you will also get to sample lavender cookies and lavender lemonade on the back patio of the farm. 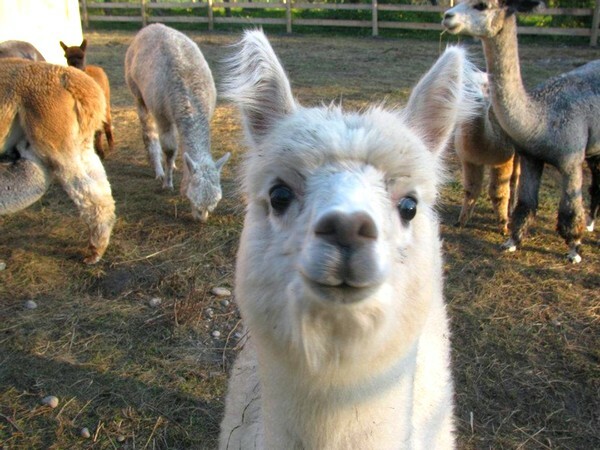 For the alpaca farm, our visit will also be very timely. 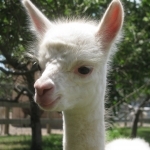 Baby alpacas will have just been born! 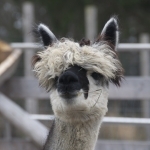 The fiber shed will also be open and not only will you learn all about these wonderful animals but you will also learn how alpaca wool is turned into yarn. 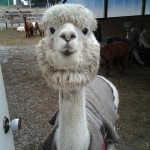 Alpaca Farm visit. 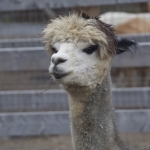 Tour of the animal pens and the fiber mill. Stop at The Big Apple for apple products. Escorted tour with ShortTrips.ca Tour Director available on tour. For waiting list, click here. 9:00 AM - Kipling Subway Station. 9:35 AM - Scarborough Town Centre. 8:45 AM - Vaughan, Scotiabank Plaza, Weston Rd & Hwy 7. 9:55 AM - Whitby Carpool, Hwy 401 & Brock St. South. We stop for an early lunch from approx 10:45 to 11:30 AM at the OnRoute Port Hope rest area on Hwy 401. Tim Horton's, Burger King, Extreme Pita & Starbucks. Price of lunch is not included in tour price. 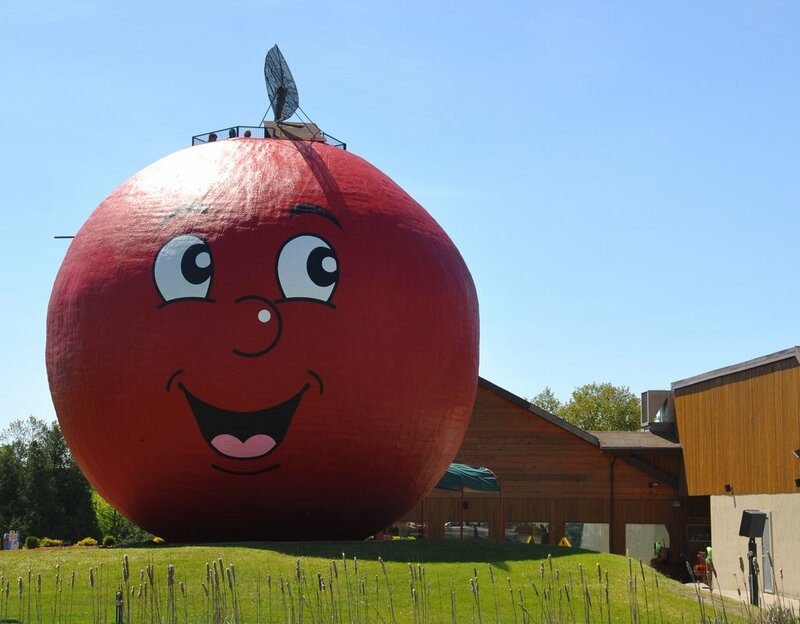 For dinner we stop from approx 5:30 to 6:30 PM at The Big Apple. 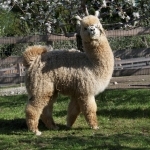 Large menu, wine and coffee bar, gift shop, amusement arcade, picnic area and lots of apple related products for purchase. Price of dinner is not included in tour price. Children 10+ are welcome on this tour. Price is same as that for adults. Prince Edward County Lavender Company is a grower, distiller and crafter of fine lavender products. Nestled in the heart of Prince Edward County, their farm offers many cultivars of lavender, in a myriad of colours, scents and tastes. Some of their cultivars are praised for their exceptional essential oil quality, while others are best kept for culinary creations or crafts. On our tour we will have the opportunity to taste lavender flavoured foods such as lemonade and shortbread cookies. After the tour, you will also have the opportunity to shop in their boutique. 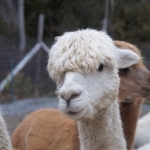 It all started with Eric (closet knitter) and Amy (self-proclaimed fiber fanatic). 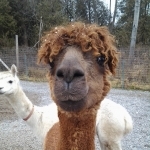 After being introduced to alpaca yarn, Eric informed Amy that “surprise, surprise” there are Alpacas in Ontario. 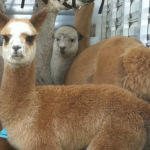 Within 10 days of visiting an Alpaca Farm, they had purchased their starter herd of 6 Alpacas (two males and four females). 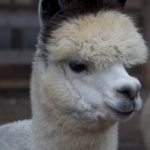 They now have a farm of 78 Alpacas (plus many more animals) happily gallivanting through their 24 acre farm. 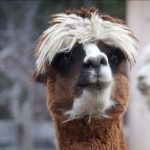 Alpaca fleece is lanolin free (hypo-allergenic), it wicks away 30-35% of moisture, it is 5-6 times warmer than wool, it isn’t itchy, it’s fire retardant. 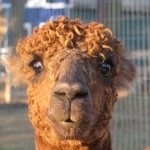 and the best part; due to its fine micron, alpaca is buttery soft! 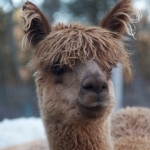 From their own alpaca fleece they make their own line of duvets, blankets, throws, travel pillows, pet beds, and many other products and you will have a chance to not only be introduced to the herd but to also browse and shop through their extensive selection of alpaca products. 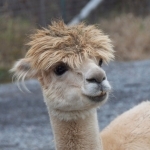 In case you were wondering, an alpaca is a domesticated species of South American camel that closely resembles a small llama in appearance. 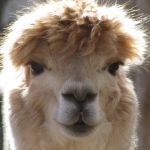 Alpaca herds are primarily found in the Andes of southern Peru, northern Bolivia, Ecuador, and northern Chile. 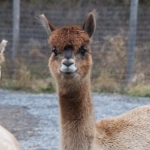 Alpacas are considerably smaller than llamas, and unlike llamas, they were bred specifically for their fiber. 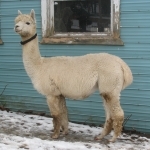 An adult alpaca is generally between 81 and 99 cm (2' 8" and 3' 3") in height and weighs between 48 and 84 kg (106 and 185 lbs).